Drum Liners eliminate the need for drum cleaning! 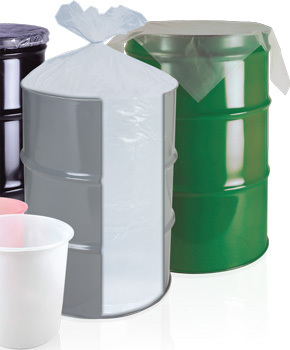 These polyethylene drum liners and rigid pail liners are found in areas where industrial packaging of paints, chemicals, pharmaceutical products, and many more items are used or disposed of. 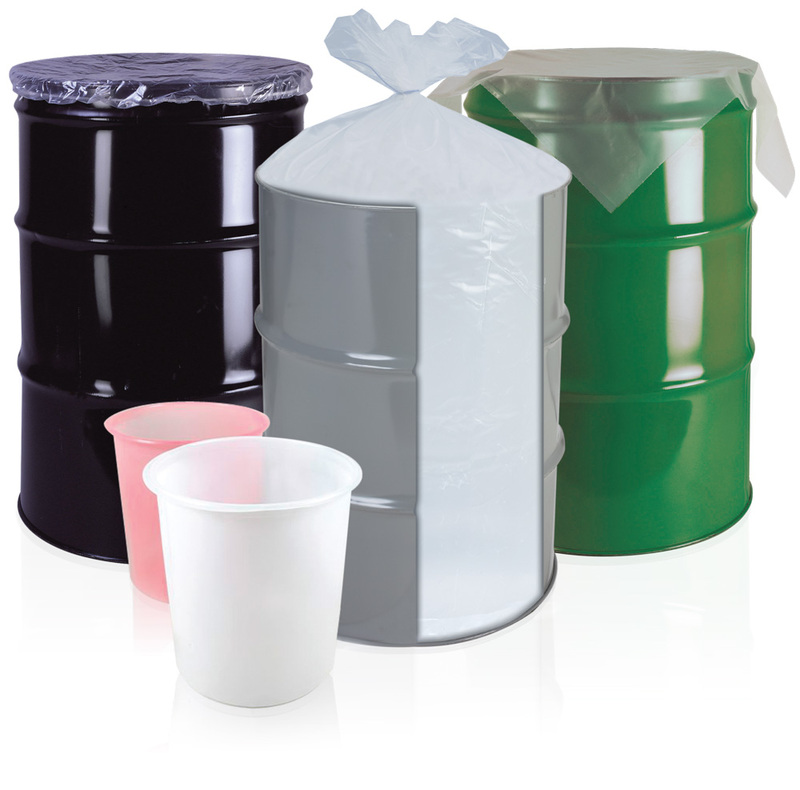 Rigid Drum Liners or Drum Inserts are vacuum formed and are constructed without any seams. 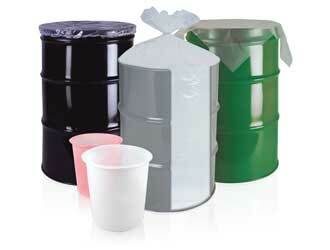 Choose from 5-gallon, 30-gallon, or 55-gallon drum liners. We supply drum liners for all types of industries including: Industrial, Chemical, Electronic, Military, Pharmaceutical, Commercial, Agriculture, Food, and Medical. Order online now or request a quote! Clear industrial grade & FDA approved polyethylene 55 gallon clear liners. Why use a drum, bucket, pail liner or insert? Who uses drum, bucket & pail liners? 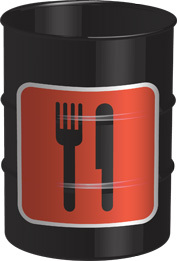 Most new 55 gallon steel drums are about 34" tall. Often refurbished drums vary widely in height and are usually shorter than new. To overcome the height difference, simply tie off the overlapping end of the liner. Do you know the gallon size you need, but not sure what bag size you should use? 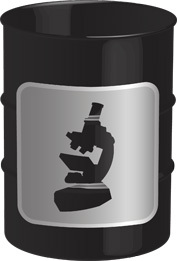 1 gallon 12 x 18"
2 gallons 14 x 20"
3 gallons 18 x 24"
4-5 gallons 20 x 30"
6-7 gallons 24 x 23"
7-10 gallons 24 x 24"
8-10 gallons 24 x 30"
12-16 gallons 24 x 33"
20-30 gallons 30 x 36-37"
30-33 gallons 32 x 50"
33 gallons 33 x 39-40"
40 gallons 40 x 46-48"
40-45 gallons 39 x 46"
50-55 gallons 36 x 60"